As parents, we are always striving to give our children the best: the best education, the best extracurriculars, the best friendships, the best vacations. I see so many children in a plethora of activities. As a child psychologist, it always concerns me when I listen to my assistant scheduling a patient and I hear the parent continually say, “That day won’t work because Ethan has piano; that day won’t work because Ethan has soccer; that day won’t work because Ethan has tutoring; that day won’t work because Ethan has…” and the list goes on. I want so bad to run into that front office and yell, “Stop! Here is Ethan’s problem: he has no downtime, no time to play, no time to be a child. Give him a break, and you won’t need to bring him to see a child psychologist for his anxiety.” Now, hear me, I am not saying that every child’s mental health issues are because they are overscheduled; some have true, legitimate mental health illness. With that disclaimer made (reread it if you don’t have it seared in your head), children need play. I mean free play, not controlled or structured. Free play. Why? Free play is the most integral key to growth and development. Here are the necessary life skills children get with free play: social skills, impulse control, problem-solving, language skills, math skills, and creativity. All those skills you want your kids to have as they walk into school (be it elementary, middle school, high school, or college), they will get them with play. I promise. This concept is so important that the American Academy of Pediatrics, American Psychological Association, and National Association of School Psychologists all have published research and articles on this very topic. In the research and life application, we see that children use make-believe play to learn how to interact with peers and people older and younger than them. My daughter had an imaginary friend for about a year and a half. To this day, her imaginary friend still pops up from time to time. “Neoma,” as she’s dubbed her, has had many grand life experiences in their play. I see the correlations in her life at times. I had a friend ask me if I was concerned my daughter was delusional or would be psychotic one day for having an imaginary friend. Ummm, no. This was my child’s way of communicating and practicing interacting with people. There were moments she was Neoma’s mother, moments Neoma was her sister (this was her way of processing she was getting a brother rather than a sister when I was pregnant), moments Neoma was her friend, moments Neoma was her parent, etc. I would listen to my daughter talk to her imaginary friend in her play, and she would teach Neoma things. My daughter would redirect Neoma’s play, she would care for Neoma, and she would encourage Neoma. I saw so much symbolism and watched her learn how to interact with others in her play. Now, I know I am her Momma, but at her little age, she has amazing social skills (often better than her own Momma!). Did you know that the majority of people who are successful in life are not super smart? Nope, actually, they have good social skills. They had learned since a young age how to interact with people because they modeled it when they were little in play. Children need free play! Why? Free play is the most integral key to growth and development. I am going to get a little “psychy” here. Impulse control, problem-solving, organizational skills, and so on, are all in the frontal lobe of the brain—the part just behind your forehead. When a child is active in play, we can see these parts of their brain light up in brain scans. These areas are the last part of the brain to develop, and research shows that they don’t fully develop until someone is 25 years old. Play allows children to learn to take turns, stop and think, and organize information. When you see your child line up his or her cars to begin a drag race, it teaches him or her how to organize. When your child shares toys with a friend, he is learning how to share pencils in elementary school or office supplies as an adult. When your child learns to take turns in playing a game, she is learning to take turns in speaking at a meeting. These are activities that teach impulse control. Impulse control is what it takes to keep your child from posting things they shouldn’t on social media or sharing those naked pictures with their friends. Let your child play so that he or she can learn to think before acting! As children play, they encounter problems: the Legos that won’t fit together, the friend who does not want to play the game they want to play, etc. During play, they learn to try new ways of putting Legos together, which in turn teaches them to try different strategies to solve word problems in math, which in turn teaches them to think outside the box in life, such as reinventing a computer company called Apple. I am sure Steve Jobs played as a child. Did you know he didn’t believe in giving his children technology because he wanted them to play? Read that again; Steve Jobs, former CEO of Apple, did not give his children iPads because he wanted them to play. When your child has a friend who doesn’t want to play a certain game, this is an opportunity for your child to decide whether they want to choose to do something else with their friend or play their game without their friend. Thus, learning when to stick to their values and let something go. How many of us want our child to have that skill mastered in middle school or high school when peer pressure is insane? Well, then let them play! Recent research confirmed what we know as child psychologists and pediatricians: that when we interact with our babies while they are babbling, we are growing their brains. Yes, we as parents grow our children’s brains early on by playing with them! When your baby is babbling and you turn their talk into words and create a conversation, you are giving them language skills. Additionally, when they imaginary play or interact with other children, they are learning words and perfecting their speech. We see a direct correlation that these skills lead to them getting into the “gifted” class in school, being a leader among their peers, and having successful careers. Steve Jobs, former CEO of Apple, did not give his children iPads because he wanted them to play. Play leads to being able to comprehend math and understand how to solve math problems. The counting and sorting in play lead to being able to solve those geometry and algebra problems in high school. 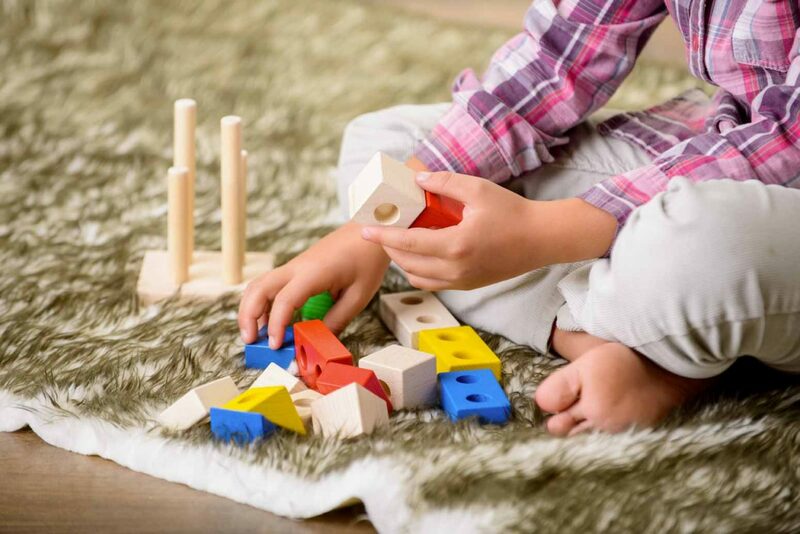 There is a study that looked at children’s ability to play with blocks and found that the children who created more complex block designs tended to take higher level math classes in high school (Wolfgang, Stannard, and Jones, 2001). Play allows children to try different situations or toys. They mix toys: Legos with cars with LOL dolls with crayons. By mixing the mediums, they learn to think outside the box. They are learning to appreciate their amazing imagination which leads to creative ideas. Elon Musk must have had creative play which led to him to think outside the box and create a Tesla. Tesla, like Apple, is very focused on customer service (you know, those social skills) which adds to their success. He has amazing shades of colors for his cars: Crayola at its finest. Walk into a Tesla dealership (which tend to be in malls, not on the main street of your town), and you will see pearly, sparkly dreamy colors. One of my hot buttons is pushed when I go to a school meeting about a child who is having difficulty sitting still in class, only to learn there is no recess in that school. What the heck? Children need play to learn many life skills, and also to get exercise. Play allows for both physical and mental growth. We know that if a child exercises 30 minutes a day, they are more able to focus, make better food choices, build their muscles, and much, much more than we know yet. Research (Gordon, et.al. 2003) shows us that “rough and tumble” play leads to an increase in brain-derived neurotrophic factor (BDNF), which is needed for brain cell growth and maintenance. So yes, please, please quit scheduling your child for every activity, hoping to make him or her a prodigy. If you want to make your children a prodigy, let them play, play, play! Let them build the forts with 15 blankets in your living room; let them drive the boat on the wheel at the playground; let them color their doll’s hair with crayons. Why? Because they are learning the necessary life skills to become the successful adult that you dream of them becoming, and, bonus, you don’t need to spend a million dollars to get them there!